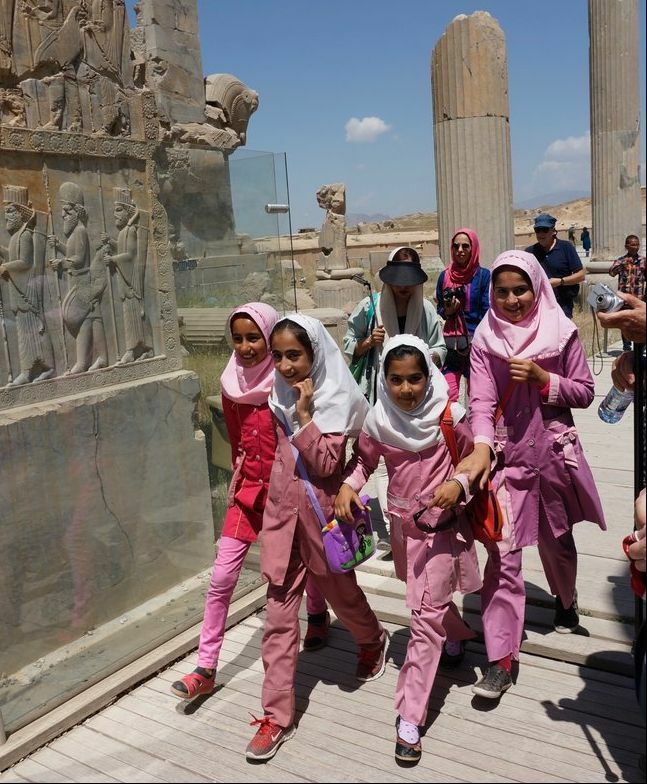 Happy Iranian schoolgirls at Persepolis. Starting a little differently this year, our last year in Europe. We want to visit Iran but as we don't think we could drive there before Ramadan starts in June we will spend a couple of weeks in Iran before flying on to Munich to pick the truck up. Once we have the truck we need to spend about a week in Germany having work done on it and then we intend to visit Turkey and return via the Greek islands and Italy before storing the Bee in the Netherlands. After the 2016/17 European winter we will ship the truck to South America. This was a trip via Mexico in October/November without the Bee or even Guy although I was in the excellent company of four friends.